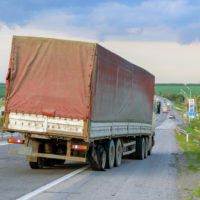 Truck accidents are almost always serious in nature due to the size of the semi truck and its impact on the smaller passenger vehicle. If you are involved in a Florida truck accident, your main priority will be to seek medical attention. Your lawyer, on the other hand, will want to work on gaining access to the semi truck’s trip recorder. Trip recorders are also called event data recorders. These devices are similar to black boxes found on airplanes. They collect information about what is going on inside the truck, such as speed, braking, diagnostics, seatbelt use, RPMs and hours in service. Each trip recorder records different data, so you’ll have to download it to see what type of information is on here. Semi trucks are not required by law to have trip recorders installed, so while not all trucks have them, most do. Trip recorders contain a wealth of information that can be helpful to truck accident lawyers. Trucking companies are not willing to hand them over so easily because they contain incriminating data. In fact, many companies work quickly to destroy them and any other evidence that could implicate them. Trip recorders were originally used as monitoring devices for truck drivers, since they could record elements of driving behavior and hours of service. Truck accident lawyers know that this information could be useful in an accident case and prove that the driver was violating the law at the time of the crash. Therefore, they help their clients win their cases by hiring expert witnesses who know how to download and assess the data. The data found on a trip recorder can be used as evidence in a truck accident case. That’s why lawyers work with trucking companies to get access to this device. If you are a victim in a truck accident, this data can prove the statements you made and help your case tremendously. Time is of the essence when obtaining the trip recorder because the information is only temporary. The data could disappear if the truck is operated after the crash or if the trucking company purposely erases the data to avoid liability for the crash. There is no way to recover deleted information. Deleting data from the trip recorder, however, is illegal and subject to significant fines and other penalties. A truck accident can cause you serious injuries. Make sure you receive the compensation you deserve by hiring an experienced truck accident lawyer as soon as possible. Time is of the essence in these cases. The information found on the trip recorder can greatly help your case. The aggressive Dade City truck accident attorneys at Mander Law Group will fight for your rights. Our lawyers know how to pursue your truck accident case so you can get the most compensation possible. Schedule your free and confidential consultation today by contacting us at (800) 557-0411.